Thin design allows optimal comfort. If you're a teeth grinder or jaw clencher that has trouble wearing a night guard due to discomfort, this option is for you. Here's how it works: We mail out an impression kit to you (mixing putty & a tray). You take your own impression & using the pre-paid envelope, mail it back to us. 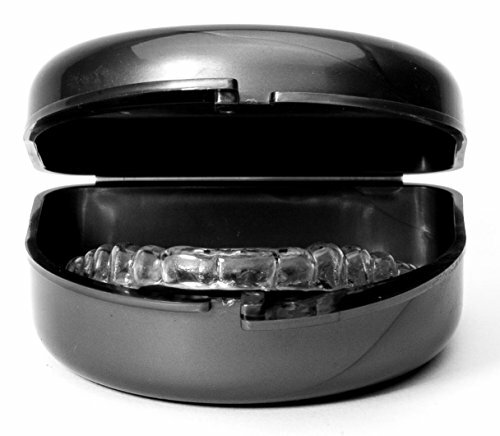 Upon receipt of your impression, we will fabricate your new custom fit night guard within 3-7 business days. That's it! .040 (1mm thickness) Ultra-thin, Hard Acrylic Nightguard can be worn comfortably night after night. This hard stint secures your teeth in place and provides long lasting durability for even the toughest night time grinders. Ultra thin design for supreme comfort. Get instant relief from facial/jaw pain, headaches. Sleep better. Protects against damage from teeth grinding, jaw clenching. BPA, Silicon & Latex FREE materials. Just like the dentist. 100% satisfaction money back guarantee. All inclusive free shipping! Easy to use do-it-yourself impression kit ships within 24 hours after purchase. Written instructions and step by step Youtube tutorial provided. If you have any questions about this product by Sentinel Mouthguard Co., contact us by completing and submitting the form below. If you are looking for a specif part number, please include it with your message.